This very popular park boasts clean sand beaches, beautiful views of English Bay and downtown Vancouver, the fantastic Boathouse restaurant, and wide lawns perfect for throwing a Frisbee or relaxing in the sun. The sparkling salt waters of the heated outdoor pool are especially inviting, and the pool has the distinction of being Canada's longest at 137m. 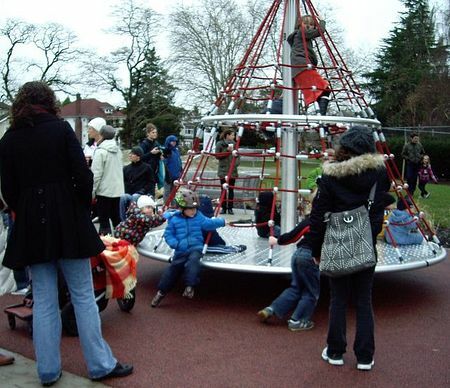 A playground is the park's newest feature. 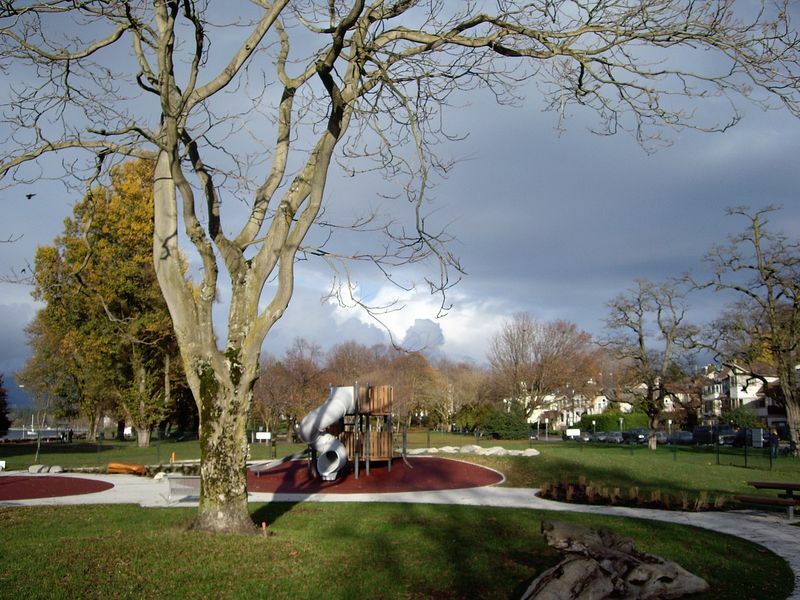 The city's largest fully accessible playground is a legacy of the Vancouver 2010 Olympic and Paralympic Winter Games and one of three showcase inclusive playgrounds built in the 2010 Winter Games host communities of Vancouver, Whistler and Richmond. New play opportunities such as sand play table, rotating climber, and saucer swings have been included to ensure universal access and encourage imaginative play, sensory experiences and fun for children of all ages and abilities. A wheelchair accessible surface also allows parents and caregivers with physical disabilities access to the playground. This area was originally known as Greer's Beach, named for the pioneer who unsuccessfully challenged the Canadian Pacific Railway (CPR) take over of his homestead here in the 1890s. 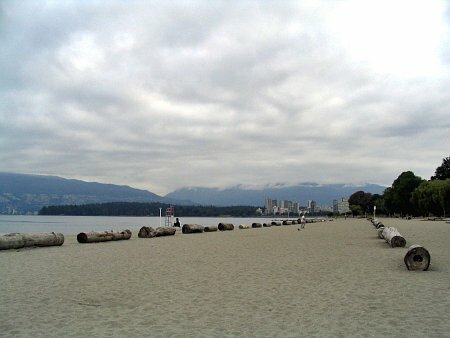 Later, private citizens raised the money to purchase the beach front land back from the CPR while the Park Board leased additional lots to create this popular park. 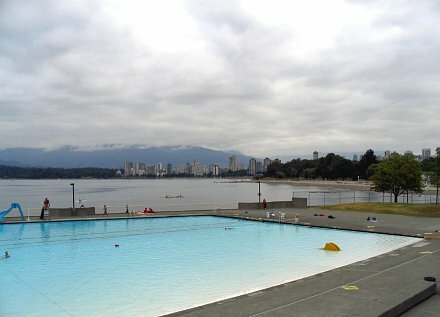 Kitsilano Pool, Vancouver's largest draw and fill salt water pool was opened at the water's edge in 1931 and became an instant success. It was replaced in 1979 by an ocean side tank (about 150 meters at its outer most edge) which sports salt water and is heated. This is the park where old Engine #374, that in 1886 pulled the first transcontinental CPR train into Vancouver, resided for many decades on a piece of track on an old CPR right-of-way. The Engine was lovingly restored by train buffs in time for EXPO '86. The train now resides in a plexi-glass pavilion adjacent to the Roundhouse Community Centre.